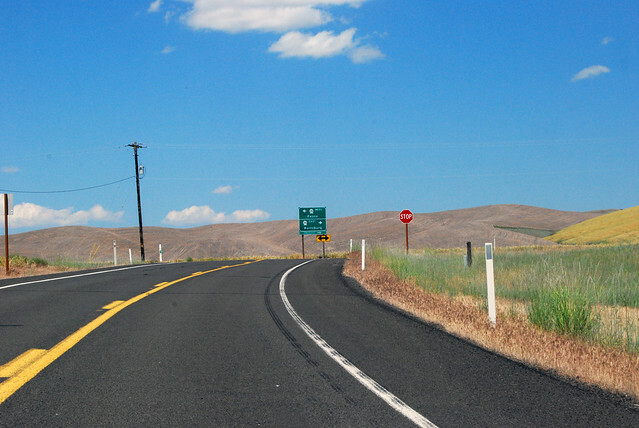 On Sunday, July 3, 2011, we drove Washington State Route 125 from Oregon to Walla Walla and beyond! 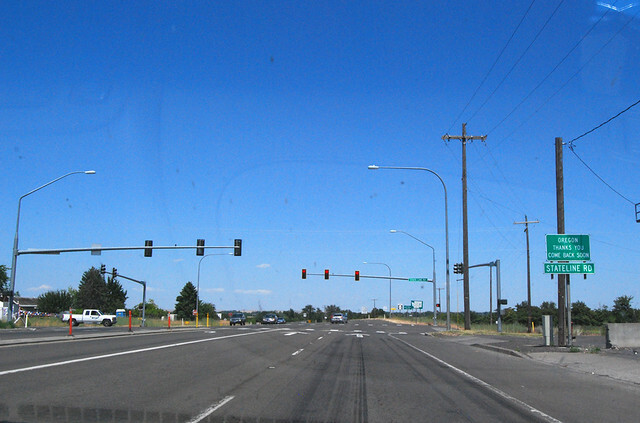 From a junction with state route number 12 at Walla Walla, thence northerly to a junction with state route number 124 at Prescott. Here in Oregon, north of Milton-Freewater, we see the southern end of Highway 125. Oregon thanks you; welcome to Washington! 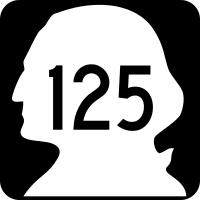 SR 125 cruises as a five-lane highway north toward College Place and northeast to Walla Walla. In town, the highway turns into a wide city arterial. Then after the intersection with Rose Street, it's suddenly only two lanes. 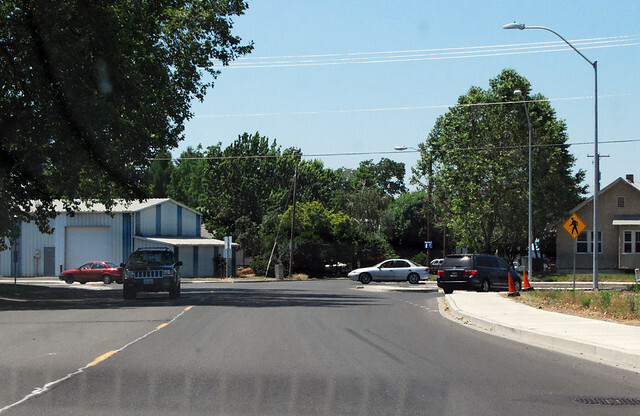 We cross Mill Creek on an old, narrow bridge and enter a residential neighborhood. We're still on the highway, right? Right. After a couple blocks of houses, we hang a left. We cross under the railroad and arrive at a junction with SR 125. Wait. We're on that road. Actually, the signs say "to US 12" straight and "north 125" right. 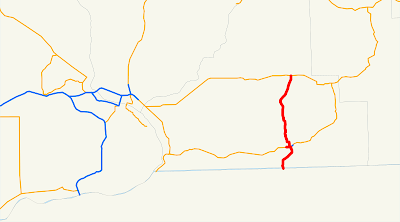 The section straight ahead is part of SR 125, also, however. A half mile later, we find a shiny new roundabout! We curve rightward and find another, double(!) roundabout. 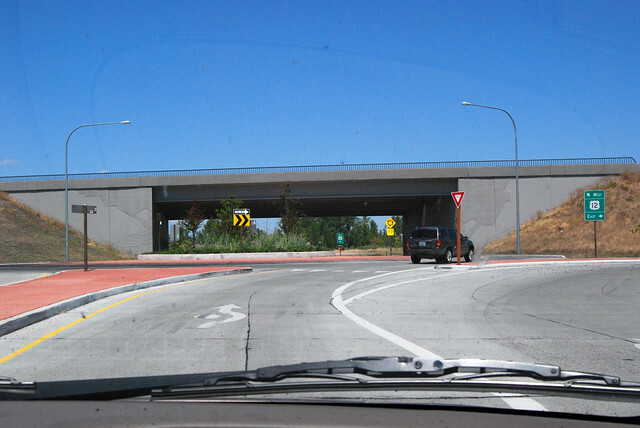 This is SR 125's interchange with US 12. Ain't it a beaut? This place was under construction last time I was here. SR 125 promptly doubles back on itself, if you compare the legal code carefully against reality. I got confused by the dumbbell-shaped roundabout and accidently circled the interchange a second time. But once I got out at the right spot, it was a half mile back to the intersection of SR 125 with itself. Time to turn left and head north. Even by the time we pass the state penitentiary, the city is far behind us. We enter a rollercoaster of a rural road, zig-zagging up and down the narrow bends. At Valley Grove, we join the railroad we crossed under so long ago. Things mellow out. 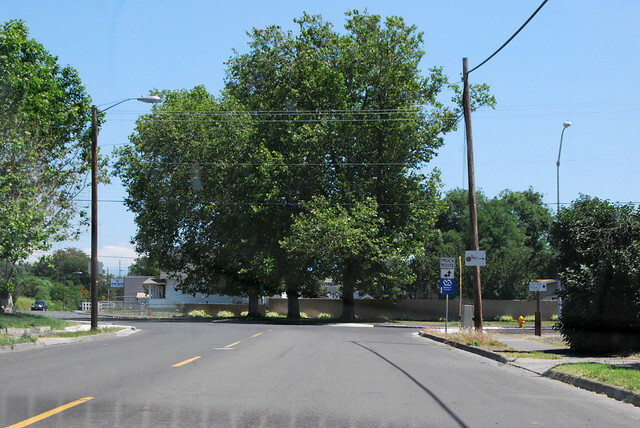 Before too long, we cross the Touchet River and arrive here, at the junction with SR 124. Highway 125 is at an end. 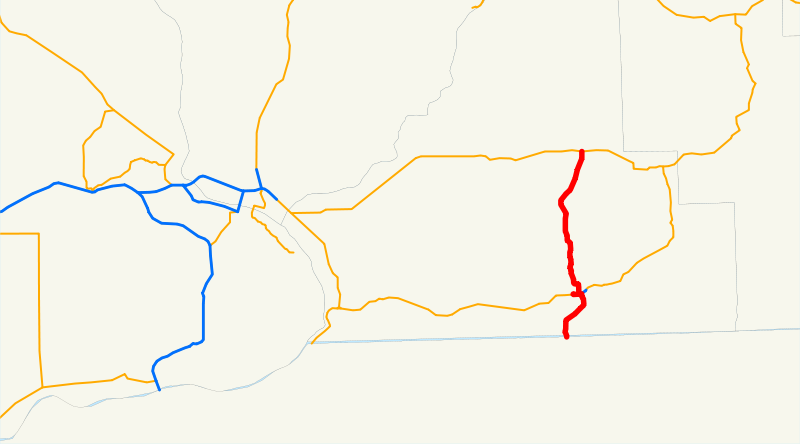 A very curious road, for such a simple line on the map.